Running with the Bride, Chicago-Style! I just love a June wedding–especially when it takes me to a city I’ve never visited before. A couple of weekends ago, I had the pleasure of watching my friends Sara and Iain tie the knot in front of family and friends at an art gallery in Chicago. Craving a girls’ weekend, I made Baby Sister come along as my date and we took the Windy City by storm. Brrr! It was so much fun that after climbing out, Sara and I just had to jump back in again. There’s no better way to learn about a city than to go for a run! 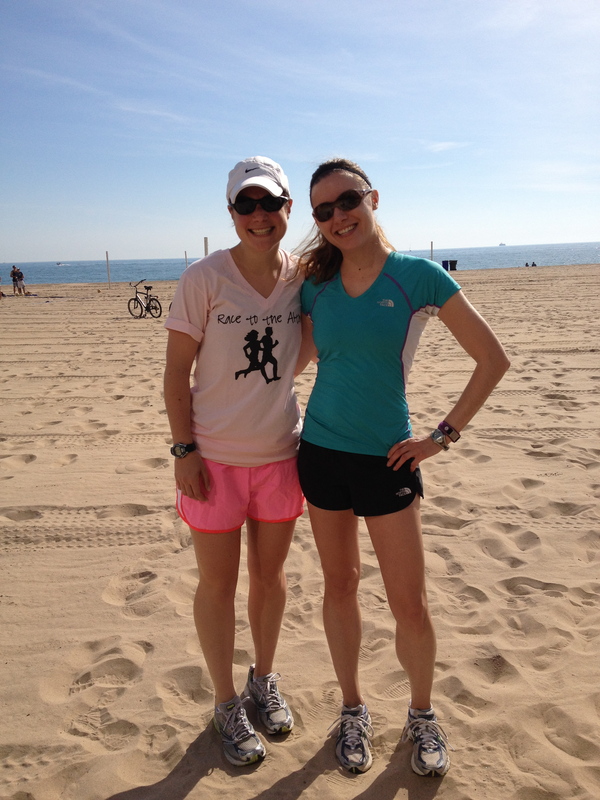 The morning of the wedding, I pulled Baby Sister* out of bed early to meet Sara and her sister for an easy 4-miler. We took an out-and-back route along the water front, which included a loop of the zoo in Lincoln Park. 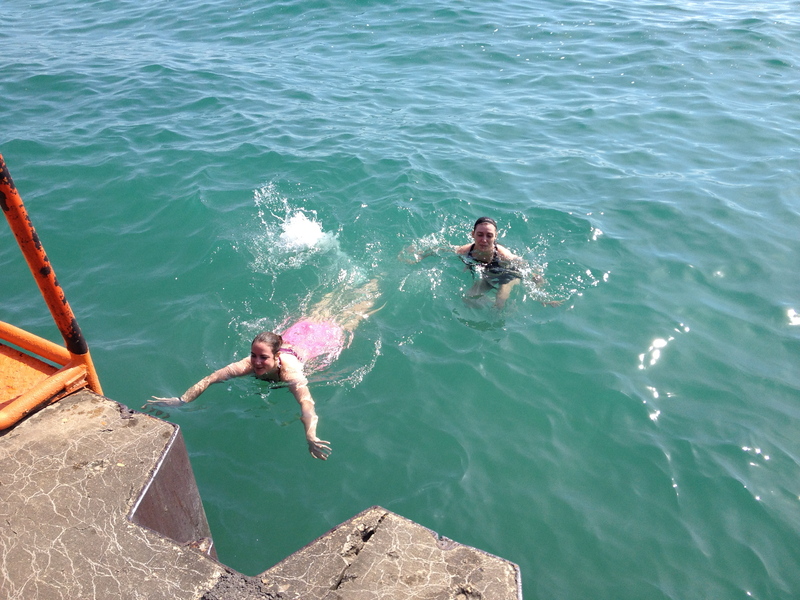 Then, we jumped into Lake Michigan! One all-beef dog, mustard, onions, sweet relish, pickle, tomatoes, peppers, and a shake of celery salt on a poppy seed bun. After all of that sweating and swimming (30 seconds of treading water totally counts), I felt as though I’d earned a hot “dragged through the garden” dog. This one from Portillo’s was topped with everything under the sun–everything except ketchup, that is. (Surprise!) Chicagoans love their cheesy, saucy deep dish pizzas, but they’re not big fans of that other kind of tomato sauce. Speaking of hot dogs… It’s time for me to find a grill and get my BBQ on. Happy 4th of July! And congratulations again, Sara and Iain! Did you go for a run before you walked down the aisle? 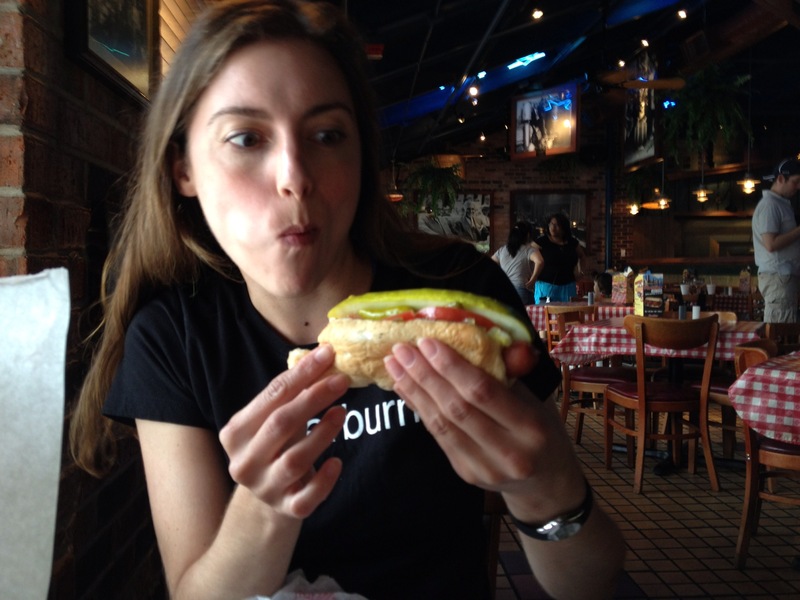 Have you ever tasted a Chicago-style hot dog? *Baby Sister isn’t a big fan of running, so I’d like to thank her for being such a good sport. Not only did she hold her own at a 9:00 min/mile pace, she also threw herself (and her new Lululemon capris) into a Great Lake just for me. Baby Sister, you rock!